Calis Beach can be found to the east of the town centre, as you head out towards Dalaman airport and is the nearest beach to Fethiye. Calis has become a popular tourist resort. The main town is along the beach promenade with many shops, bars and restaurants offering Turkish and International cuisine. The sunsets are stunning from one of the beach front restaurants looking over the gulf of Fethiye. The seafront also boasts many hotels and is closed to traffic during the summer months. 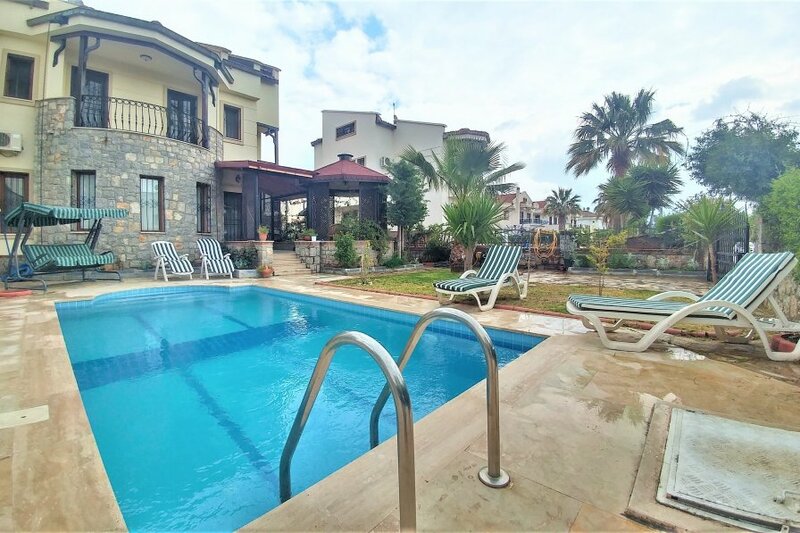 Ideal for holiday rentals, located a short distance from the beach, there are many villas with private pools and apartment complexes with shared pools available for rental.